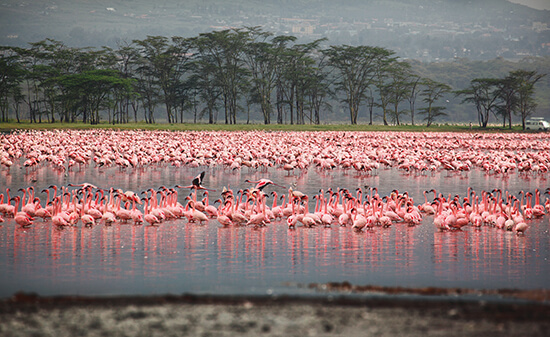 Watching Lake Nakuru’s shores turn an electric shade of pink as the flamingos glide along the water, listening to the laugh of a lone hyena in the night at South Luangwa National Park, and seeing a pride of lions trek across the wet savannah grasslands just after a shower of rain. These are just some of my most memorable safari moments, writes Lydia Ngoma. A trip to Africa is like visiting nowhere else on earth. Huge skies opening above you. Stars like you wouldn’t believe. The raw beauty of its wide-open spaces and amazing natural treasures. 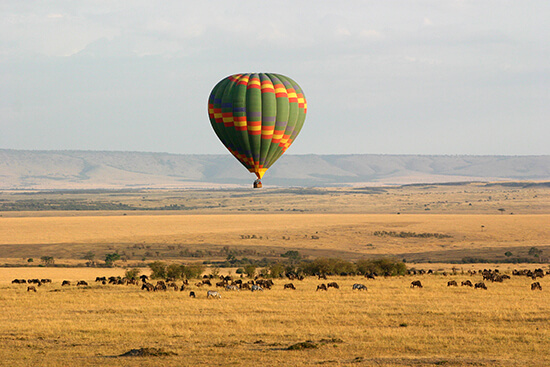 Made up of astounding landscapes and diverse cultures, Africa invites you to take a hot-air balloon ride as the golden sun rises over the Masai Mara National Reserve; to cruise on the Kazinga Channel, so close to grazing zebras you can count their stripes; to visit a traditional Masai village and learn about these colourful semi-nomadic tribespeople. But growing up in East Africa – and being one of the lucky ones who can call this great continent home – I know better than most that things are changing. Flamingos along Lake Nakuru are fewer each year I visit; I remember the heavy feeling in the pit of my stomach when, in 2009, I was told that the lone white rhino I was looking at in Mosi-oa-Tunya National Park was the last one surviving in Zambia; and it has become harder to spot a herd of elephants, despite the strides made by the Kenya Wildlife Service – among others – to increase their numbers. “In most cases, it’s poaching and other conflict with humans that has put these species in the trouble they are in,” says Chris. In the past tourism may have been perceived to be part of the problem, but G Adventures is different. “It’s an incredible group of like-minded people from around the world, trying to make the world a better place through tourism.” They believe in harnessing the power of tourism to raise awareness of these crucial issues, support some of the most marginalised people in this world and help fund conservation projects. But, of course, the team at G Adventures aren’t the first to take note. Conservationist Dian Fossey, immortalised by Sigourney Weaver in Gorillas in the Mist, famously founded the Karisoke Research Center in Rwanda’s Volcanoes National Park 50 years ago, and, thanks to the work it continues to do, the mountain gorillas of this region are the only species of great ape to have increased in number in recent decades. 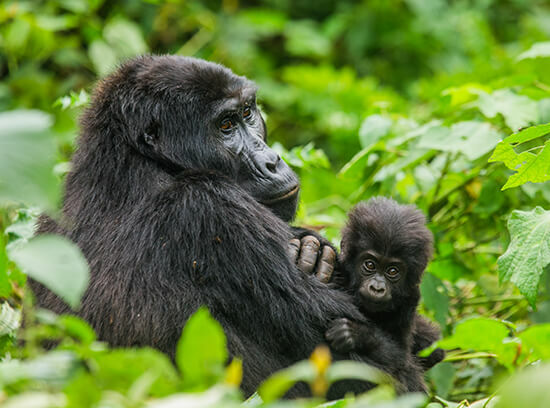 Today you can visit the centre for a behind-the-scenes look at what is being done to conserve the irreplaceable wildlife threatened by deforestation, human encroachment and poaching, and to track golden monkeys and gorillas on foot in the park. Book an appointment with one of our Travel Experts and they'll guide you through our tailor-made holidays and build an Africa itinerary to suit you.